Yes, it’s true! We ship worldwide! All prices on the website include FREE standard shipping worldwide*. 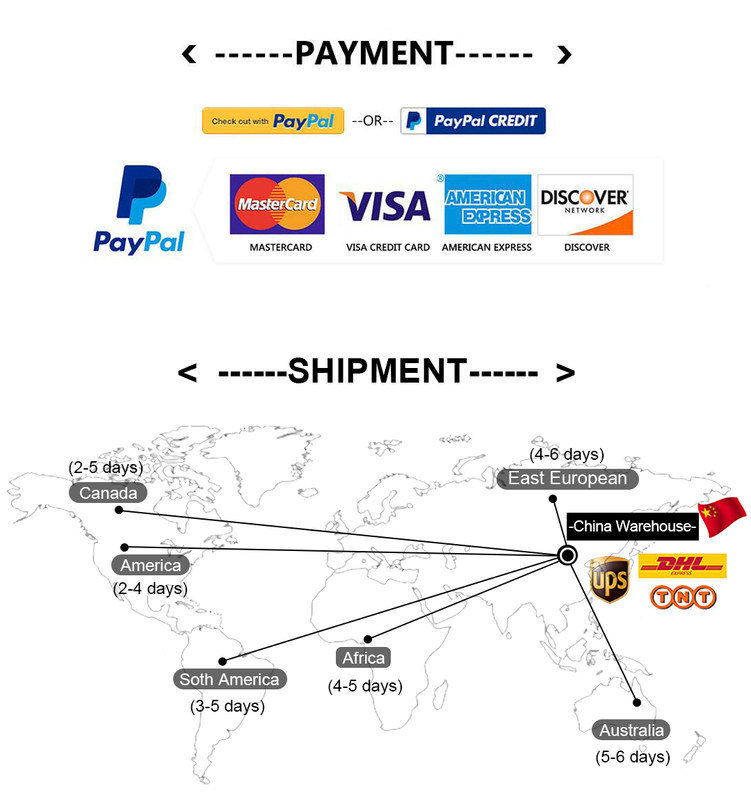 Your Evan Hair Products are shipped from our warehouses located in China. It will take 1-2 business days to process your order, regardless of the shipping option selected at checkout. We ship Monday through Saturday, excluding weekends and holidays. We do NOT ship orders the same day. Please allow up to 2 business days for orders to process (for example, if you order on Monday, your order should ship out on Tuesday or Wednesday). You will receive a confirmation e-mail with the tracking link once your order ships. Express shipping options and any other third-party fees are non-refundable. Kindly note that if inaccurate or incomplete addresses are provided, or if there are unverified details with your order, it may delay processing by an additional 1-2 business days. We encourage all customers to thoroughly review their shipping and billing information prior to checking out to ensure any possible delays are avoided. You will receive a confirmation e-mail once your order has been processed to the e-mail address provided at the time of checkout, which can take up to 48 hours. You will receive a second e-mail once your order has shipped, which will include your tracking number and a link to follow the journey of your package. If there is a problem with your tracking number or package delivery, please contact the courier directly prior to contacting us. Please allow 1 – 2 days for the tracking information to show. In some rare case, the tracking information may not update but you will still receive your order. Please contact us after the estimated delivery time. International customers are responsible to pay any applicable inbound duties, taxes, and any other fees which your local Customs authority deems appropriate. These fees are paid to your local carrier or government and are not collected by Evan Hair, and thus cannot be refunded. We ship international Shipment Express, meaning that these fees are not included in the price of the goods you purchase from our website. All applicable fees must be paid by the recipient in order to receive the parcel. As we are unable to advise the amount of what these fees might be, we recommend contacting your country’s customs office or tax agent for respective charges and rates on a package coming outside of your country. Please note that DHL pays on your behalf for any duties and taxes that are due on the goods, as soon they enter the country. This simple process ensures that the courier can deliver your package in shortest possible transit time. The goods are released to you only upon the full repayment of any duties and taxes that were paid on your behalf. On some occasions, you may receive an invoice from DHL after the delivery of goods, for the charges they have paid on your behalf at the destination, plus a small administration fee. It is the responsibility of the buyer to make sure that she or he enters the shipping address correctly. We do our best to speed up processing and shipping times, hence there is a very small time gap to cancel/change your order or to change the address of your order. If you decide to cancel your order or change your shipping address, please write to us at info@evanhair.com as soon as you place your order. We will do our best to make the change, however we cannot guarantee that we will be able to do so, as there are varying time limits in which we are able to do so. If it’s too late for our team to cancel your order, you can return your order to us once you’ve received it. For more information on how to return your order Click here. The only thing we can do is wait to see if the package gets returned back to us. If it does get returned back to our warehouse, we can then ship it to the correct address or provide you with a full refund. Extra Shipping Charges: If you upgraded your shipping and the package was returned to us due to an incorrect address and if you would like a refund, you will not be reimbursed for the upgraded shipping fees. By placing an order at Evan Hair, you are responsible for the cost of return shipping back to Evan Hair. Please refer to our international returns policy here for further information on how to return your packages.